It’s the Portugueseness. Macao seems to exist in a state outside of time and geography, serving as a perpetual cultural crossroads for tourists and migrant workers. It is the perfect place for a film noir, precisely like von Sternberg’s Macao. Despite their references to Jane Russell’s character, the approach of co-directors João Pedro Rodrigues & João Rui Guerra da Mata is radically dissimilar. Narrative is something that happens outside our field of vision throughout The Last Time I Saw Macao (trailer here), which opens tomorrow in New York. As the film commences, a transvestite night club performer lip-synchs “You Kill Me,” Russell’s big musical number from said Hollywood programmer. Get a good look at Candy, because she is the first and last character to be seen in LTISM. Instead, the Joãos use voice-over narration, overheard phone calls, and disembodied dialogue to tell their tale of post-colonial intrigue. The narrator, “Guerra da Mata,” grew up in Macao, but spent the entirety of his adult life in Portugal. He has finally returned home in response to a call for help from his expat friend Candy. She has always been attracted to the wrong sort of men, but this is a particularly bad case. 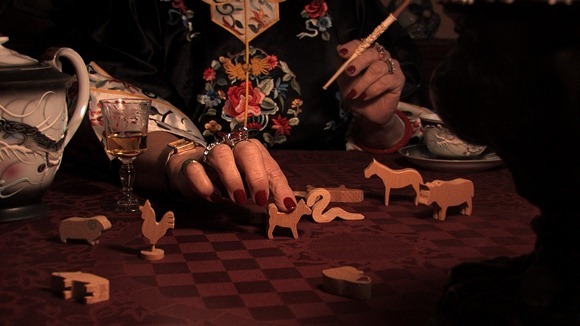 Assuming she has fallen in with some sort of criminal gang, the unseen protagonist becomes entangled with a Chinese Zodiac cult and a caper involving a strange birdcage (not unlike Pulp Fiction’s suitcase). That might sound like manic b-movie material, but J.P.R. & J.R.G.M. banish all the action off-screen. Instead, they give the audience an impressionistic tour of Macao, via a series of darkly evocative Ozu-esque pillow shots. Fortunately, they have a keen eye for visuals. Many individual sequences are quite striking, but eighty-five minutes of such self-referential, self-consciously elliptical filmmaking gets rather wearying over time. Frankly, Rodrigues & Guerra da Mata’s abstract style of film noir would arguably work better as a short film, which has been the form of their previous collaborations. Given its noir elements and influences as well as its genre-defying gamesmanship, LTISM will probably appeal to Godard fans. While its narrative is considerably more abstract than the French auteur’s early films, it is downright plot heavy compared to his recent work. Conceptually, it is quite intriguing, but it remains an intellectual viewing experience rather than an emotional engaging one. 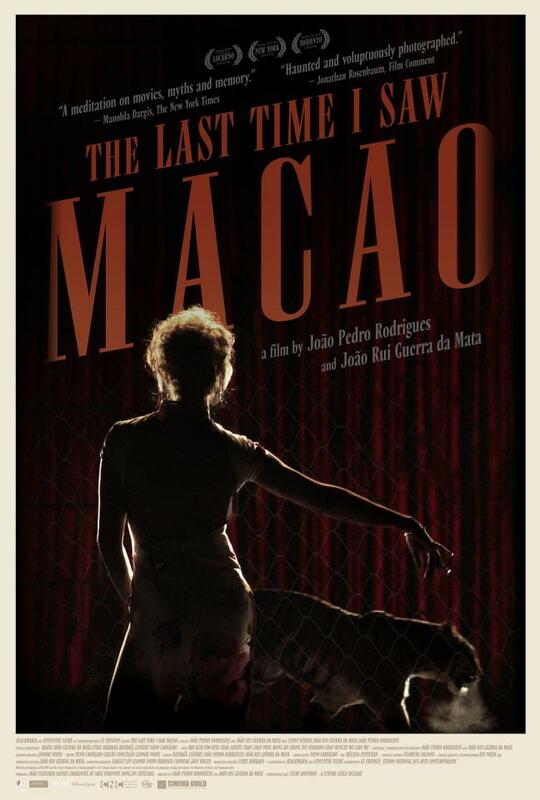 Recommended exclusively for devotees of Godard and Robbe-Grillet, The Last Time I Saw Macao opens tomorrow (9/13) in New York at the Elinor Bunin Munro Film Center.